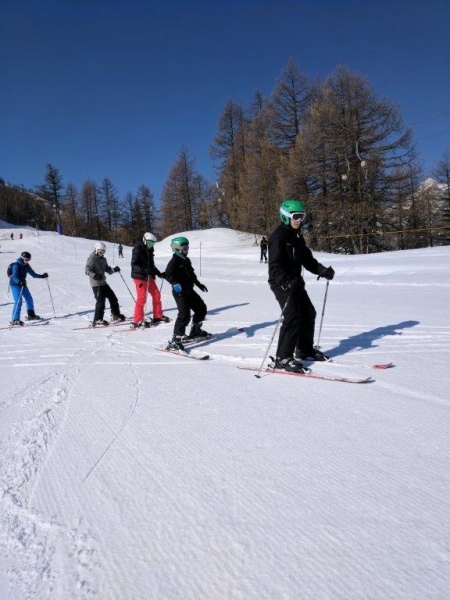 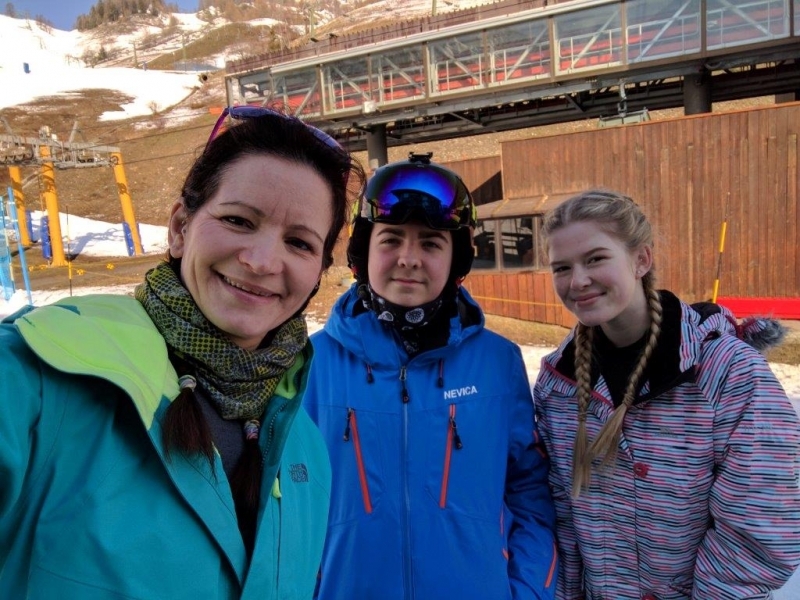 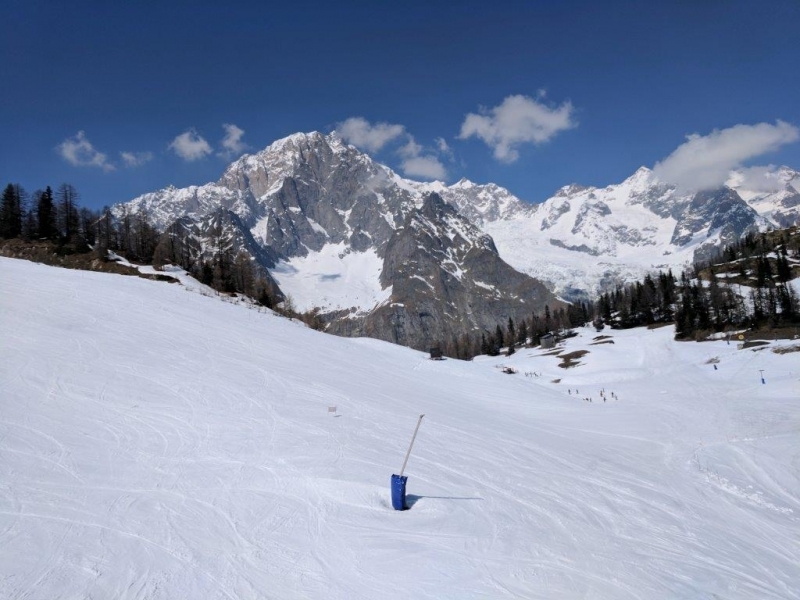 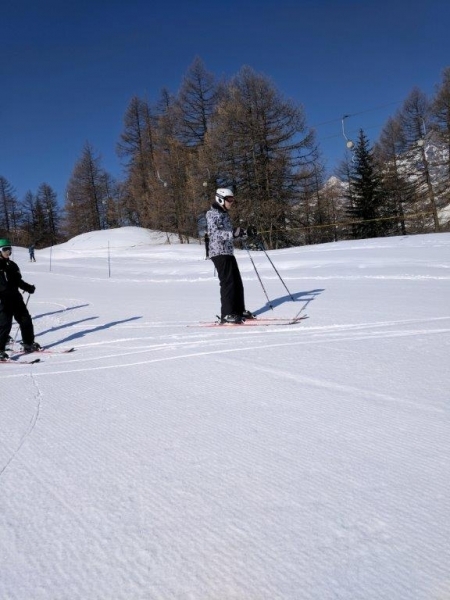 Both groups were allocated to instructors to begin their ski tuition. 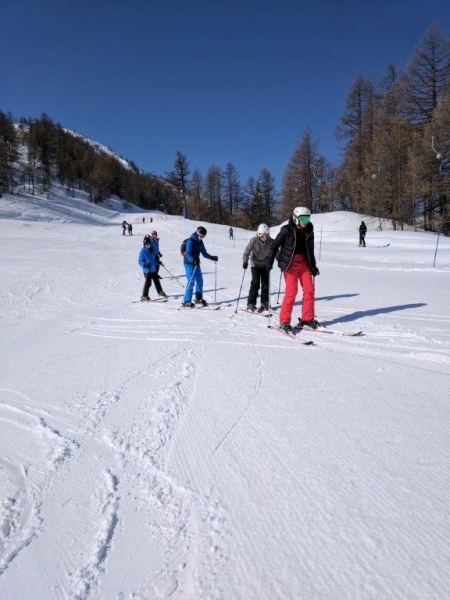 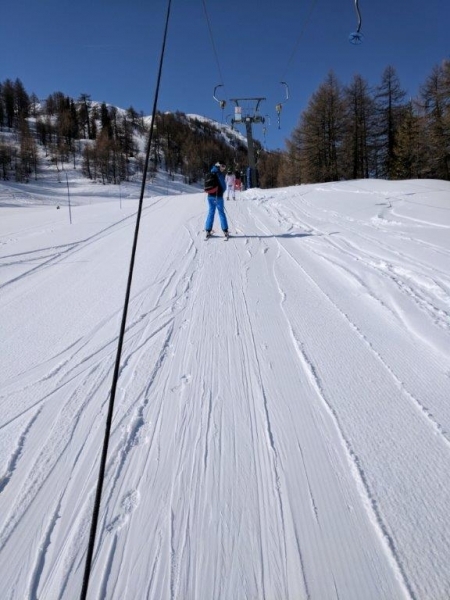 We were all shocked at how warm it was; the sun was shining from the time we stepped onto the slope and shone brightly all day. 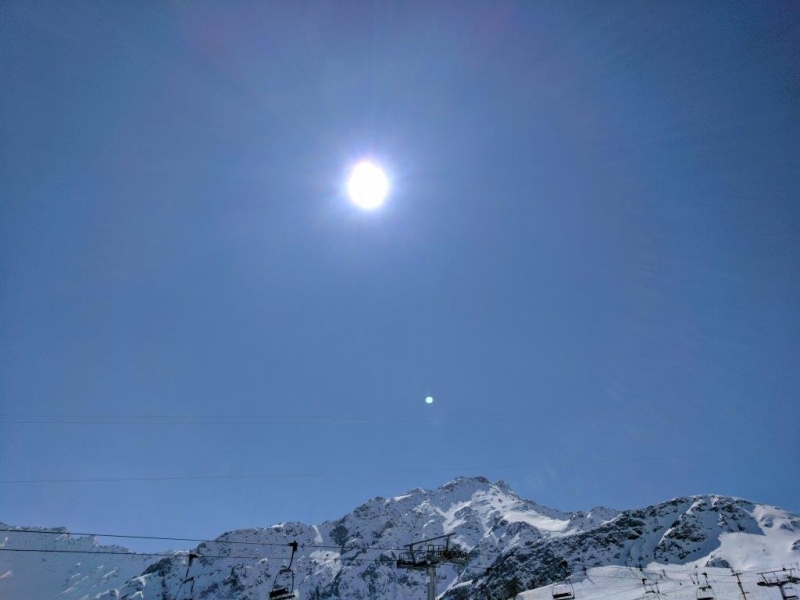 Good job we had all put sun cream on! 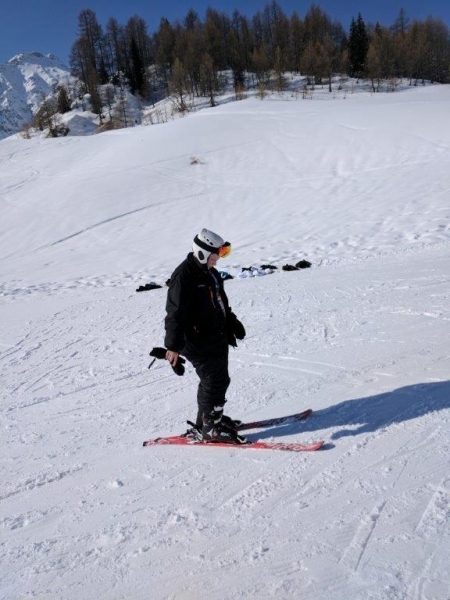 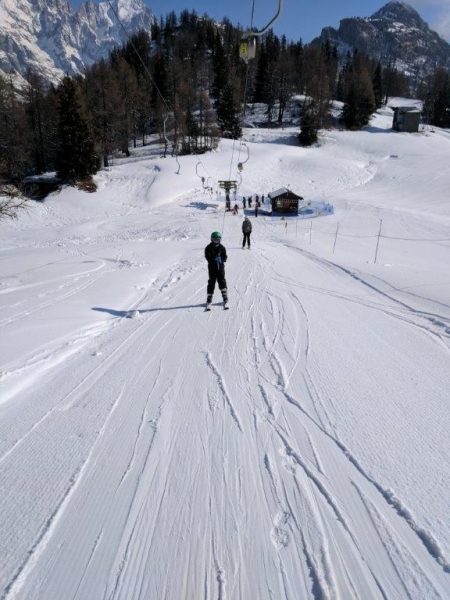 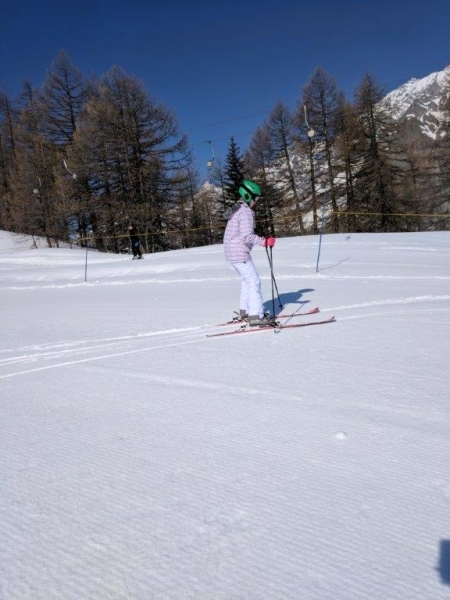 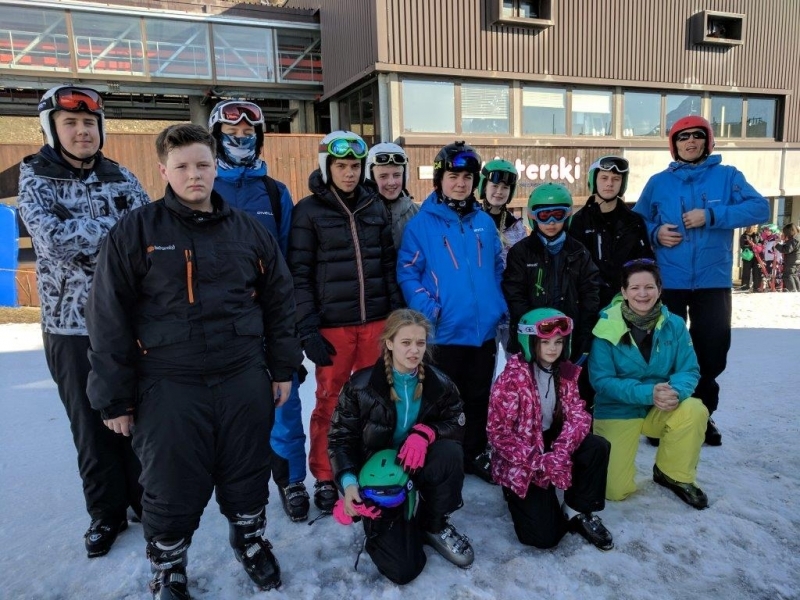 Both groups did really well on the slopes, the intermediates ending on a blue run and the beginners perfecting their turns in the ‘baby bowl’. 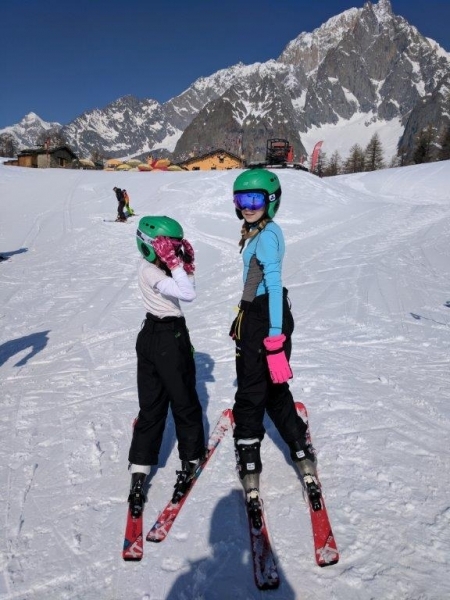 All finished tired and sweaty from a hard day’s skiing! 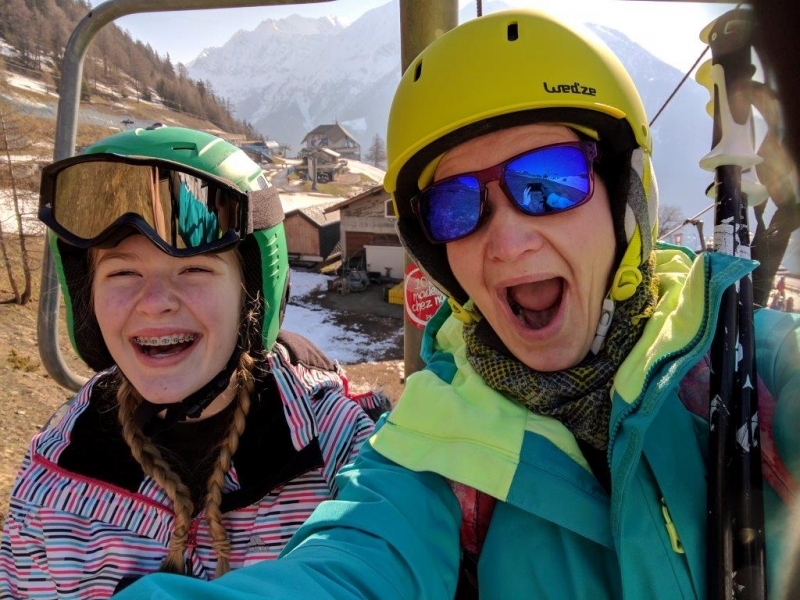 The day ended with a visit to a lovely pizzeria in Courmayeur town where we were stuffed with pizza, chips, salad and sorbet.